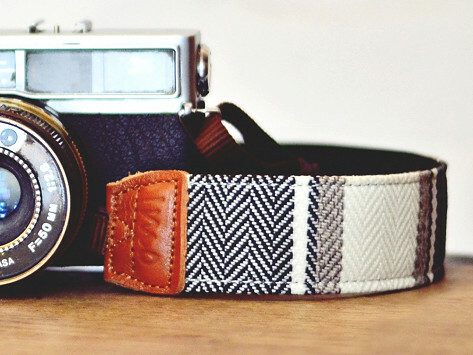 Put some personality in your camera with iMo, the retro camera strap. The patterns make a fun fashion statement, and the strap is well constructed with a neoprene backing for comfort, leather details, and quick release buckles. Tested to hold over 90 lbs. the grommet cares about their customers. had a hiccup with my purchase. the grommet took charge and no more hiccups. the grommet is the coolest . 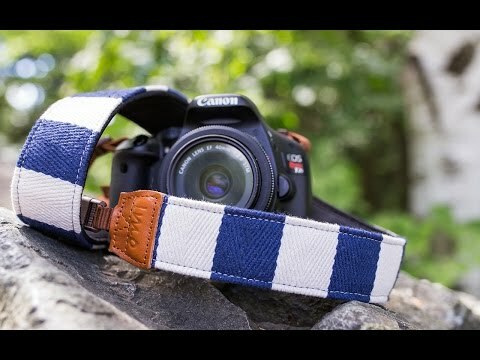 iMo camera straps blend fun with function by adding some personality to your camera. iMo’s retro camera straps have a textured woven feel, and the backing is made of neoprene that provides lightweight padding. At the ends, leather detailing adds some sophistication. Founder Bo-bo Chong Po King started iMo—which stands for In My Opinion—when she decided to take more control of her life. She went on holiday, started taking lots of pictures, and wanted a better camera strap. So she made one. Inspired by straps from 1970s film cameras, Bo-bo decided to create a smart, trendy strap that was well constructed with high-quality materials. You say you’re a serious photographer who uses extra lenses? No worries at all. iMo straps hold up to 90 pounds. Even the packaging shows that this is a playful company with an eye for design. These straps would make a great gift for your favorite photographer. With a quirky camera strap from iMo, any camera becomes much more photogenic.